Atik is created by Codestag. I’ve been a fan of Codestag themes for years because they have always been very good at creating themes that not only look good, but are not overloaded with features. 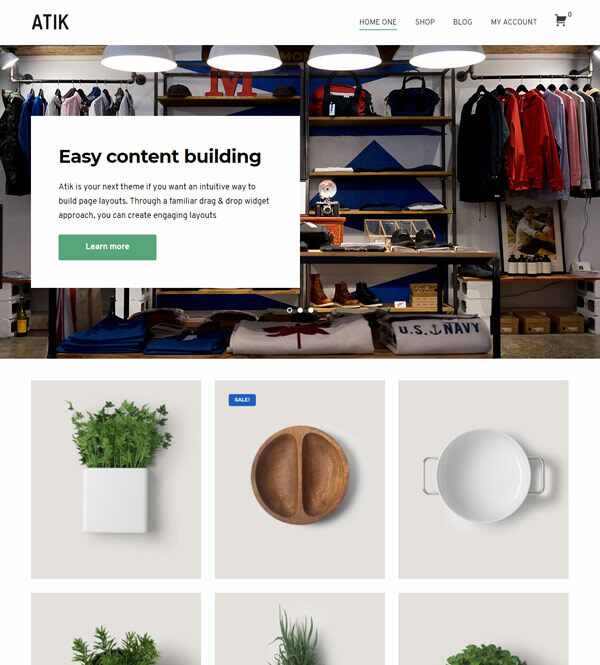 Codestag make good use of the WordPress customizer in their themes and don’t include lots of complicated features like page builders that can be difficult to get started with – especially for beginners. 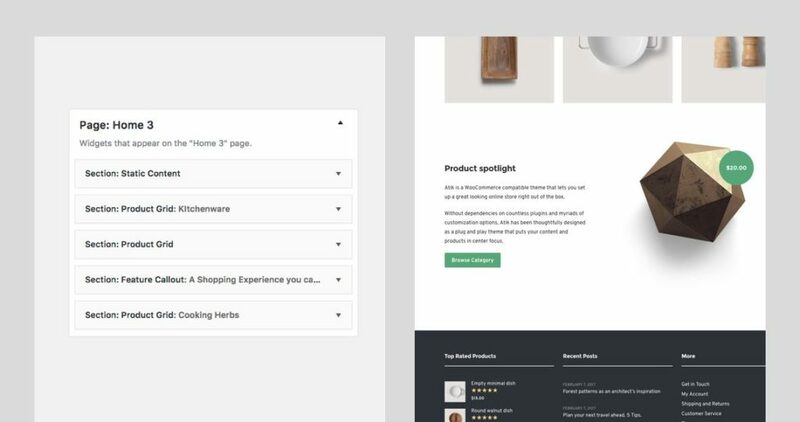 Atik uses a widget based approach to build page layouts and allow you to move various sections around. There are 6 different content widgets that can be moved to different locations with a simple drag and drop solution. I really like this approach as it is very easy to learn and it looks and feels just like WordPress should. Overall, the design of Atik is great. 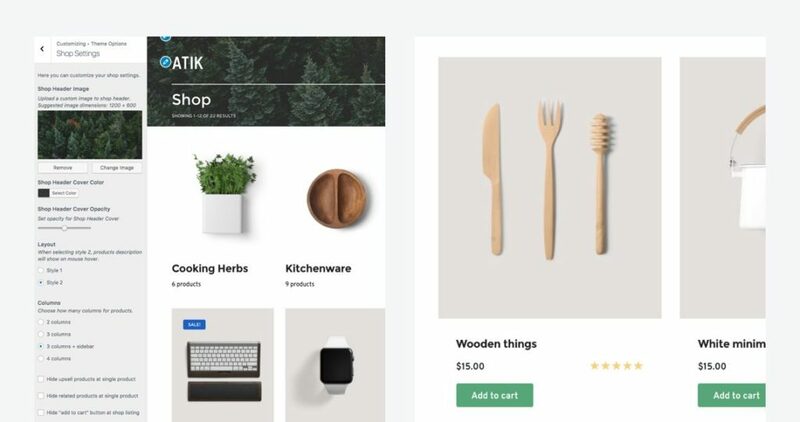 The minimal design means that this theme would work well for a wide range of different websites and this theme would be a great choice for your store, especially if you are a beginner. Before you decide to purchase Atik, you can take a look at their online documentation to see exactly how easy it is to set up.